A system that allows livestock producers to collect vital pedigree information – potentially saving money and boosting productivity – is one of the many early success stories of UNE’s Smart Regional Incubator (SRI). Although just eight months old, the SRI now has an impressive 30 start-up companies on its books – companies that may soon be contributing to the prosperity of regional Australia. SRI Business Development Manager Liz Egan says it augurs well for the future. “The stars are aligning around innovation in our region,” she said. 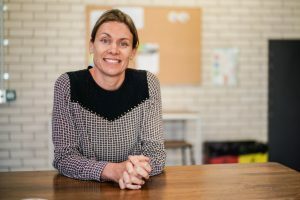 “There is terrific support from the State Government and never before have we seen such encouragement for people to step up and test their ideas. We see it every day at the incubator and the momentum is building. 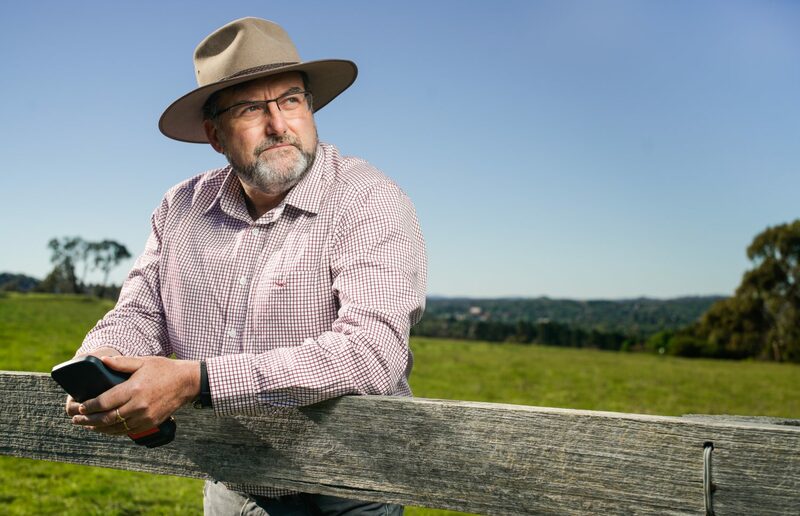 One of the well advanced SRI start-ups is the agricultural technology company SmartShepherd, which is taking Australian orders for its pedigree matching product and negotiating agreements for overseas distribution. Co-founder and CEO Dave Rubie said it would never have been possible without the support of the SRI. “I think there will be a couple of successes come out of the incubator in the very near future and we hope to be one of them,” he said. “We would never have got to this point without its expertise and support. SmartShepherd provides a missing link in livestock parentage data – helping farmers to identify the relationship between mothers and their offspring. Not only will the collection of maternal pedigree data help guide future management decisions, Dave and his co-founder Glenn Vassallo hope it will increase animal welfare and profitability. “SmartShepherd is capable of being used on all free-ranging livestock, including cattle and goats, but we have started with sheep,” Dave said. “It is based on the premise that the selective breeding of livestock relies on having a full pedigree. “In any sheep enterprise the real drivers of profit are the breeding ewes, with success dependent on their fertility and mothering characteristics. Although Dave and Glenn have benefitted greatly from a four-month accelerator program in China, where SmartShepherd is now being manufactured, they say that the UNE SRI has been invaluable. “It has got me out of my home office, for a start, and helped me to separate my home and work life,” Dave said. “But as well as having a dedicated work space, it has been great having regular access to other like-minded people in the same head space. “It can be very isolating starting a business, especially one based on technology. “There’s a wonderful spirit of entrepreneurialism within the incubator and our business is now within an hour’s drive of our target market, which is invaluable for getting feedback and conducting trials. Dave said being a start-up is akin to being on a rollercoaster. “At the SRI you may be surrounded by people working on very different projects, but you are all on the rollercoaster together,” he said. Four other successful SRI entrepreneurs will be sharing their stories next week as part of the UNE SRI conversation series, which aims to support anyone who is thinking of starting their own business or is keen to learn from the industry’s best. Click here to register your interest in attending. Tuesday 14 November, 5:30pm-7:00pm: The Entrepreneurial Journey. New England Brewing Company, 19 Bridge Road, Uralla. Four entrepreneurs discuss their journey from idea to product. Wednesday 15 November, 12:00pm-2:00pm: In Conversation with Anna Speer, CEO of AuctionsPlus, Australia’s Livestock Marketplace. Main photo: Dave Rubie of SmartShepherd.